American Idol Judges: Is Season 13 Making Its Unlucky Presence Known? You are here: Home / American Idol / American Idol Judges: Is Season 13 Making Its Unlucky Presence Known? The search for the American Idol judges was intense this week. Again, I see articles teasing us about Adam Lambert as a possibility. But it looks like Idol is going in a different direction. Of course, things with American Idol change regularly, so who knows what will be when the show debuts next January. Maybe the season is already feeling the unlucky burden of the Season 13 moniker? Right now, the rumor mill is talking that the panel will consist of returning judge, Keith Urban, previous judge Jennifer Lopez and newcomer Harry Connick Jr. Hurray for Harry! Connick was an extremely effective mentor last season, being one of the few who in addition to Adam Lambert, we saw offer technical suggestions to the contestants. Click on the following articles to read more about Connick. To read more about how Adam Lambert was on the minds of the industry, check this article out, titled Why aren’t Jennifer Hudson & Adam Lambert good enough for ‘American Idol’? Warning: this article is the first I’ve seen that actually states in black and white that Adam’s sexual orientation may be the reason Idol won’t book him for a permanent status. How many of you are still watching American Idol? I’ll admit it – I am. I’m like a bulldog – I don’t give up! I just can’t watch IDOL except for the week Adam is on. I don’t know why they claim he’s in the running or even a thought when it’s obvious he isn’t. I’m sure he could do the Glee thing easily and still do IDOL, so I don’t think they asked him and he turned it down. They are seemingly grasping at straws for judges and yet they don’t ask Adam or Jennifer? Harry would be good, legitimate mega star in terms of writing, singing, arranging, acting, he does it all and has a great history. JLo makes me puke with her “sweetie” and “honey” names for the adult contestants. IDOL never had Adam in mind to begin with and that frustrates me. They’d take Kelly or Carrie in a heartbeat but they knew better. It has been dying a slow death and it’s probably just as well that Adam isn’t there to take any blame. Watched Idol twice last season – thought it was terrible. (ALMOST the worse season ever) Between Nicki and the fact they were “going to have a girl win” whether or not she was good enough was a big waste of time. I really think the whole “singing contest” thing has run its course and Adam really needs to keep move forward! By watching idol we are saying we don’t care what they do. They have ignored Adam for several seasons after making us think he may be a judge. The worst part and I believe it that they won’t hire him as a judge because of the “obvious” he’s gay. They did hire Ellen but remember she’s a female and very popular on television. So why would any Glambert watch this show knowing that they feel that way. I don’t understand why. Remember Connick well as a mentor. Like him as a performer if I’m in the mood for that sort of music, but as a mentor, he was trying to impose his mold on everyone. Not sure he’ll be accepting of original new styles of music as he’s a Sinatra copy. Granted Sinatra was genius in phasing, but music has evolved and not sure Connick has done so. We’ll see I guess, but don’t personally plan on watching at all–except if Mr. Lambert graces their stage. Last year was horrible with the bickering, but I suspect this year will be boring. Between Keith and Harry, yipes…sleeptime. JLo is a joke. Maybe she’ll cry for us. Never thought I would say this, but I hope Idol just goes away. I never liked AI. I used to like to laugh at the auditions, but they are even tiresome. The only season I watched was the season ADAM was on. It was fate! I only watched so I could have something to talk about with a guy I had a “crush” on at work. 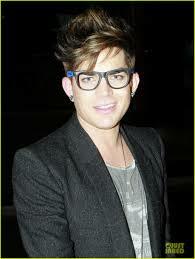 Now I’m left with a former crush that turned out to be a mega jerk and the wonderful world of ADAM Lambert!! I wanted to see ADAM on Idol instead of Glee becuase its ADAM’S personality I’m so in love with. He is such an inspiration! But everybody is right. The show has run its course and its best not to have ADAM involved when it goes kaput! The media claimed from day one ADAM was in the running to be a judge, so I never really believed it. Shelby is right, ADAM, keep moving forward its time to cut the Idol strings. Its great that he’s grateful, etc. But he is soooooooo much better than that!!! I can’t believe so many people still watch that show. I can’t stomach it any more. It would be fun to see him as a judge though because he is so brilliant and truthful and helpful when he’s talked to contestants in the past. I don’t watch American Idol as it doesn’t interest me, as I’m in Australia……but no doubt if AL was on there I would be watching just to see him. puts the producers of AI to shame ! I agree that IDOL has never been the same since Adams season. I have tried to watch it but in my opinion no one has come close to Adam’s fresh and bold approach to making the songs his own. Remember Adams version of Ring of Fire? I thought it was great (as were all of his versions of songs he chose that year). Oh people were up in arms that he had the “nerve” to sing a Johnny Cash song with a middle eastern flair! I was excited every week to see what he would entertain us with, and he did! That’s why all of us Glamberts fell in love with him, and he continues to keep us all excited for more! As far as I am concerned, Adam should steer clear of IDOL, he would be wasting his talent sitting in a chair all season. (although seeing him every week would be awesome!,lol) IDOL has never been the same since Adam, and then with Simon gone, what a snoozefest!